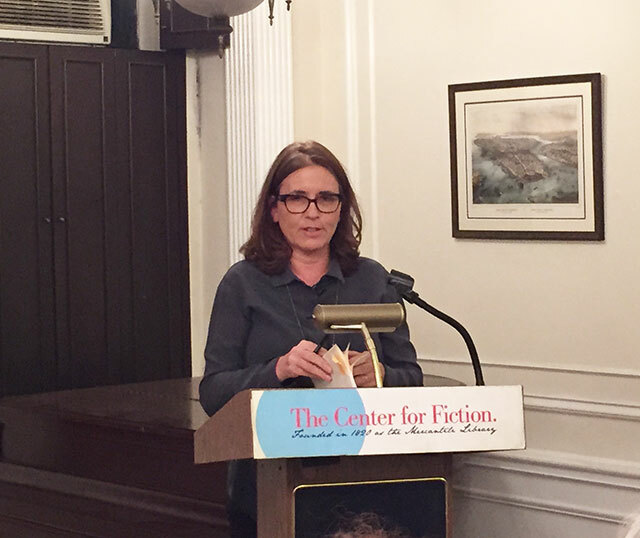 The Center for Fiction hosted Kate Walbert and Lily Tuck for a brief reading and conversation about their novels. Walbert’s The Sunken Cathedral follows the story of close friends who survived World War II and emigrate from Europe. Tuck’s latest The Double Life of Liliane examines the life of a Liliane splitting her time between parents on different continents, but draws on personal autobiographical elements of Tuck’s life. Tuck’s 2004 novel, The News From Paraguay, won a National Book Award. 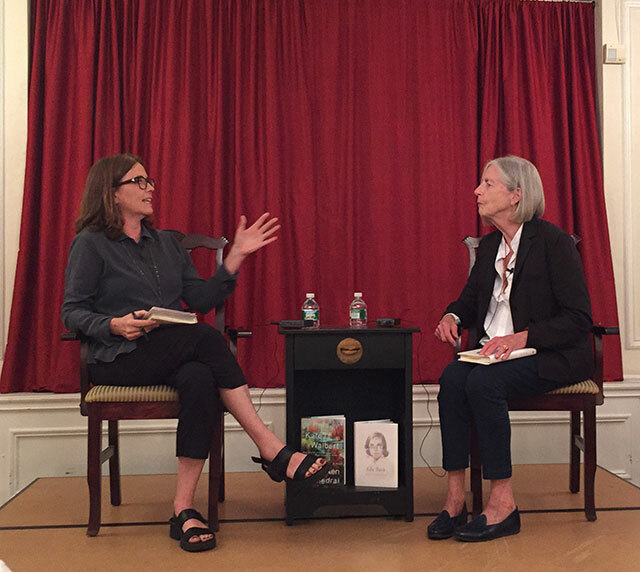 Before writing the novel, Tuck had never visited the country and this segues Walbert into asking about maintaining truth within a novel. How is fiction grounded in truth? After the novel was published, Tuck received a call from the Paraguayan tourism board. She visited the country for a week. She was surprised because many of the people she had met there were offended by the book and it hadn’t even been translated yet. The novel, set in the 19th century, was placed in a very different time than modern Paraguay. It was strictly fictional. The Double Life of Liliane is somewhat different. It is not wholly fiction, but it is not truly a memoir either. Tuck calls the book a form of autofiction, a term coined in 1977 by Serge Doubrovsky. Tuck seems surprised by the recent uptick in works that could fit the description autofiction. She adds that reliance on memory is inherently flawed because memory is flawed. Everyone remembers events differently. “I am fascinated by the autofiction form,” Walbert says, especially when memories end up called out for not being true. “Is my way wrong and their way right?” she says referring to the way memory is perceived. 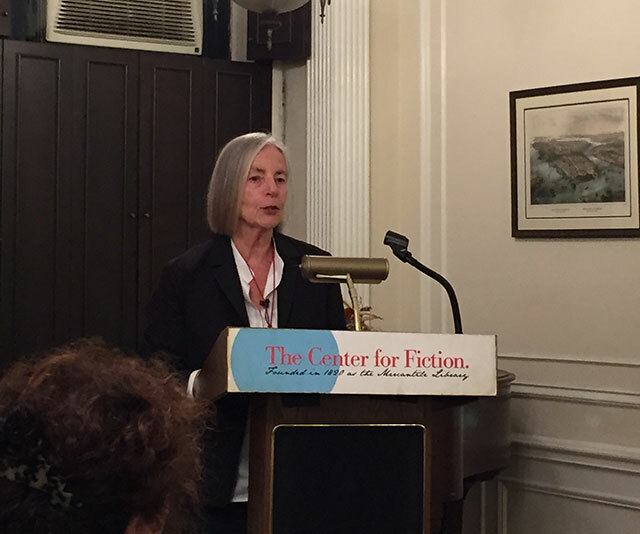 Walbert says that she finds writing even personal essays to be challenging because of the limits of truth. The obligation to truth is a straightjacket on the narrative. “I haven’t really revealed myself at all in this book,” Tuck responds. She means that though most of the events happened to her, the emotional and psychological components are not hers. “I haven’t written a single word on my secret life,” she adds. She says that part of the reason that she wrote the book is that her family wasn’t famous and that she had no other descendents. She wanted to rescue her family from historical oblivion. Memory is a way of doing that.